These high-capacity containers are ideal for any commercial-scale waste generator, and improve waste-handling operations in every industry. Call the BHS sales team at +1 314 423 2075 to find a dealer near you. 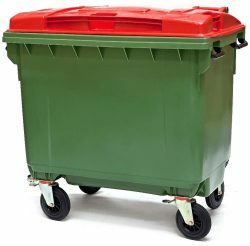 Mobile Garbage Bins are always available in blue, green, or yellow. For additional colors, call BHS at +1 314 423 2075.